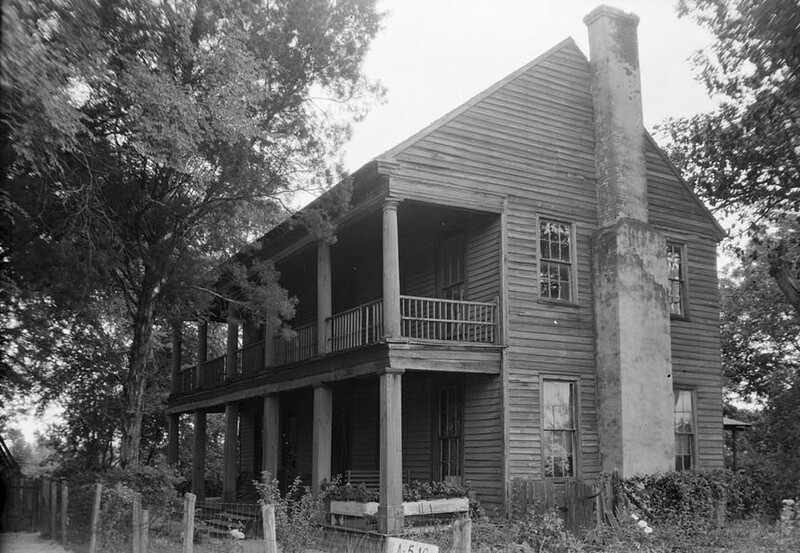 In early frontier Eufaula, Alabama, there were but few stores in the town, and not many dwellings, all of them were constructed of rough logs. Up to the winter of 1834 there was not a frame building in the place. There were two public houses; one of them was built of hewed logs, and was called the crack hotel of the village—the landlord’s name was Slatter. 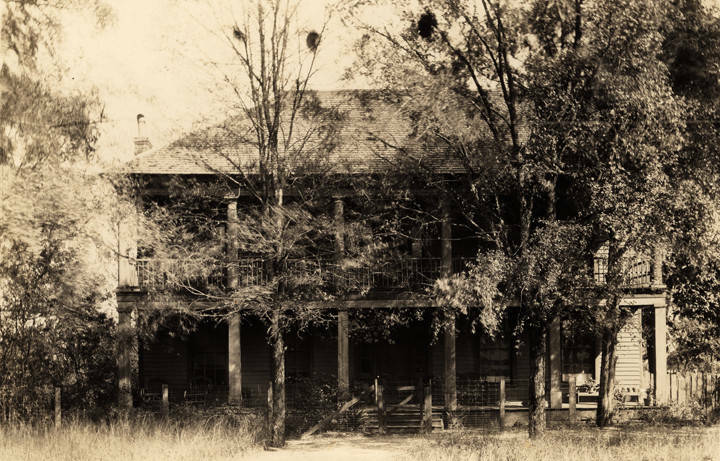 The other house, a less pretentious one, was constructed of rough round logs, and was known as Morgan’s hotel. Many were the adventurers who visited the village, and many settled themselves here. This naturally brought all kinds of people together, and many of them not of the best character; hence, lawlessness, drunkenness, and immorality ruled the hour. A great many of the male inhabitants carried pistols and bowie knives, made almost imperative for self-protection, and upon almost any provication (sic) were ready to make free use of them. Many were the fights and bloody rencounters (sic) that were witnessed on the streets of Irwinton (later named Eufaula). But there were a few good men who, true to every manly instinct, with courage undaunted, stood up like polished “marble shafts” amid all the moral corruption that surrounded them, and by their efforts and examples (and as population increased) open wickedness was toned down; bad men and their evil practices began to be overcome and order took the place of confusion; crime was arrested and punished by the strong arm of law—then Irwinton began her career of progress. It was now about the summer of ’35 when a saw mill was erected on the Chewalla creek, about one mile from town, on the Columbus road; facilities were, thereby, secured for building better houses, which was duly improved. The mill was owned by Mr. John M. Moore. 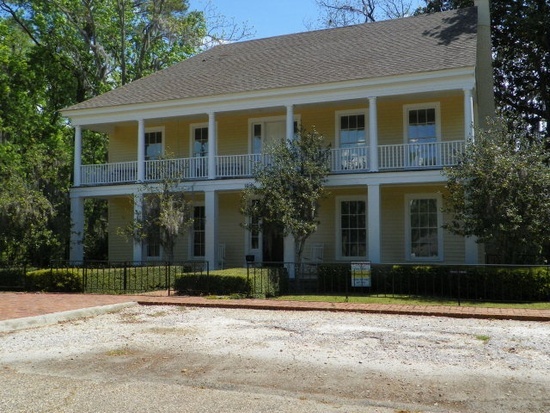 Several new store houses were built, and also a two-story hotel, which was called the Irwinton Hotel, and kept by a Mr. Birch. Next door to this building was the then imposing two-story building, owned and occupied by Capt. 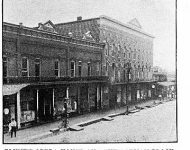 John M. Moore and Mr. J. G. L. Martin, as a drinking and eating establishment; the upper rooms being used as a billiard saloon and ball room, and known as “Social Hall.” It was an immensely popular resort. 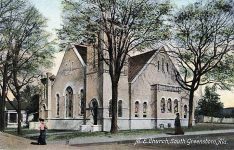 In those days the dance was the only pastime in which ladies and gentlemen indulged together, so the building of Social Hall was hailed with delight by the ladies, of whom there were a good many in the town and surrounding country. The gentlemen, when to themselves, very freely patronized the gaming table and the horse races; the latter was held in the streets of the town, and inasmuch as the clearing did not extend far, the principal street had to be used, and all business was generally suspended to witness the races. But a year or two after this a splendid course was constructed, about four miles from town, at a cost of ten thousand dollars, and the turf was liberally patronized for many years, but finally neglected, and now, not a vestige of it remains. Some Men Trying to Make Money. While some were indulging in pleasure and dissipation, many others were laying the foundation of their fortune and independence, and helping to develop the rich and fertile land surrounding Irwinton. They you for clarifying that and providing the additional information. I believe I’ve corrected the errors. Many of the family members in my wife’s Pless and Mann line were from Eufaula, Tallapoosa Co, Alabama. Just wondering if this is the same town is your article. The town described is in present day Barbour County, Alabama. There was an Native America tribe called Eufaula and other early small Indian towns with that name. The area surrounding Eufaula Lake has a colorful history, recalling such notorious characters as Belle Starr and the James-Younger Gang, who used the area north of the dam as their hideout. The name “Eufaula” comes from the Eufaula tribe, part of the Muscogee Creek Confederacy, whose tribal jurisdictional area the town falls under today. As early as the year 1800, the Muscogee Creeks had a town of that name, on Eufaula Creek, near the present site of Talladega, Alabama. It was one of their early Upper Creek towns. Pickett’s History of Alabama mentions an Indian town, belonging to the Creeks, which he calls Eufaulahatche. 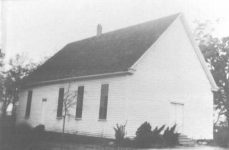 Little Eufauly is mentioned by one of the historians as early as 1792. 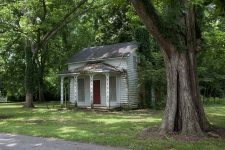 Another upper creek town called Eufaula, was located on the Tallapoosa River, near the present town of Dadeville, AL. 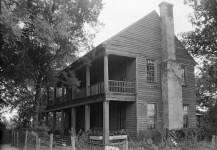 Another Eufaula, known as a lower creek town, was located on the east bank of the Chattahoochee River, within the limits of the present County of Quitman in the State of Georgia. In 1799 some of the Indians of this settlement went down to the mouth of Flint River and established another town of the same name. And still another lower creek town, called Eufaula, was located on the Chattahoochee River, in Henry County, Alabama. She mentioned it in the statement about the various places with the same name. My GGG Grandfather’s home similar to this is still standing and in excellent condition. I wish I could post a pic. They also called these split homes Dog Trots. The design helped with air flow in the hot summers. Here you go Beth Cotton Vereb and Sam Lindsey DeFee. Haaawwww! Call that rough? Alta Utah had a saloon called the “bucket of blood” for obvious reasons. my great grandfather built a dog trot cabin near clear creek falls (now covered by smith lake) in what use to be falls city alabama in winston county in 1907. Many of my ancestors were in the Eufaula area as early as the early eighteen hundreds. There is a companion book to the Walker Evans book called “Cotton Tenants” which can be found online. It is a complete explanation of share cropping in that period is very revealing. I grew up the son of a sharecropper and can vouch for it’s accuracy. Sounds like LA and Vegas!!! I like Alabama history. Times was tuff but people was better people then. 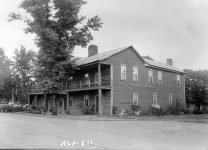 My Great Great Grandfather, Dr. Henry Middleton Kaigler , was a surgeon in the Confederate Army and served his last assignment as a surgeon in the hospital pictured in Eufaula. He was from Sandy Run, SC , but setteled in Quitman County , Georgetown, Georgia after the war . . I graduated from Eufaula High School , but lived in Georgetown, GA as did some o fmy classmates ….1956 . Thank you for share the history of Alabama. Can’t get enough of these stories about early Alabama. Michelle Robinson share this with Mary…. Truly enjoyed reading this. I live in Oklahoma and my husband was raised in Eufaula, OK. We passed through Eufaula, AL when we were on a trip. We didn’t get to stay long but could tell it was a great place. I’m hoping to visit again in the future. Wasn’t that technically the first house built in Irwinton (1835)? It didn’t become Eufaula until it was incorporated 1857, twenty-three years later. My mother was born there in 1939, and lived on a farm with her mother and relatives. Her maiden name is Glover. We are African American. I would love to get down there and take a look around to retrace our roots. hotel and called “The Tavern”. When the name of the village of Eufaula temporarily called “Irwinton”, some newspaper writer erroneously called the “Irwinton Inn” but that was incorrect. It was never the Irwinton Inn. 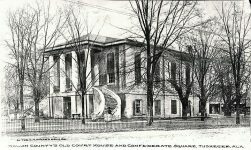 During the War Between The States, it was used as a hospital for Confederate soldiers, under the management of Doctors F.C. Blake and Pope and Perry. “It was inherited by the descendants of Mark Williams. One of the (Mrs. Bathman) sold it to Mrs .T.A. Mashburn. Another article from “A Sketch of Noted Landmarks Old Houses and Modern Homes” by Jennie Kendall Dean, states that the house was built by Edward Williams (Mark and Edward were brothers) The land was deeded Edward by Seth Lore and Co. on the 6th day of December1836. 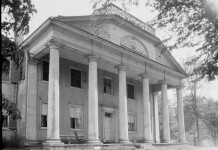 (above states 1827) The property was given to Edwards daughter Cynthia who married Dr.
Webster Rains. It was used for a hotel and called ‘The Tavern’. My four times great grandfather, Mark Williams, from Duplin County, North Carolina, is the man mentioned in the article written by Mattie Thomas Thompson. Mattie Thomas Thompson, who is credited as the author of the article, was a relative by marriage to Mark Williams. Mattie Thomas Thompson also wrote a history of Eufaula, which has been out of print for decades. My family has been in Eufaula since 1841. Folks down there still call that building The Tavern. I remember Mr.Roberts was the last resident and he owned photography business there. I tried to have him for our wedding but he was booked. Need to go to home show next April. I love it, do the night tour. Cathy Sloan Irvin Eufaula AL was originally known as Irwinton AL.